This is the first novel I read which is purely about world building (as of the chaps I've read). And as of the part on how the MC is very knowledgeable in the game, even in lord mode when he was an adventurer in the past, I think it is justifiable. The game is where all the people from Earth will live for 10 years, their real body will be put into hibernation while they were on a spaceship otw to the new planet. Plus, their game performance is one of the factors that could decide their future and standing in the new planet, so it's easy to see how everyone will search and learn most of the info they could get related to the game. And as of why a mere game can decide their future, the game is designed to be as realistic as possible. Tho in the end it is still a game, their performance there can show how resourceful they are, or how talented they are. Remember, they're moving to a new planet that only have raw resources in it. What they need the most are talented individuals to rebuild a new planet for humans. As for how the MC allegedly remove his NPCs in position once someone better comes, let's get real and remember that the NPC's abilities are greatly limited by the system. They all have ratings that can tell how much ability an NPC have, and how far this NPC can go with. In this novel I find more logic than Release That Witch, here MC is not too smart where as in Release That Witch you will find MC is too smart some times felling that his IQ should be more than 20000. Shout out to all of world building/kingdom building genre lovers. This series almost has everything that you'll love from kingdom building type novels. Good story background, good interaction with other characters and a well balanced story pacing. Interesenting when it comes to the war parts and seeing how the territory progresses, but most of it is just info dump. There are too many characters that have names that sound the same. It makes you wonder who is who and you'd just go WTF who is this guy again. There would be people who would be introduced on this chapter and disappear after but then after 20-30 chapters he would show up again. I also don't like how there are freaking 18 year olds who act like they are 5-7... more>> year old kids. It looks to me that the author has some weird fetish or he just doesn't know how 18 year olds are. Unexpected. As in the MC doesn't expect anything to happen. Again and again, every major battle after another, he gets surprised that his enemies will attack him. ... more>> To be frank about it, without the plot powers that be to save him over and over, there's no way he'll have made it this far. Beyond the MC, there is a lot of info dumps that make up the bulk of many chapters, mostly early on. Game buildings, game functions, dozens if not hundreds of (Chinese) historical figures, historical battles and retroactive explanations of why who did what. Besides a few errors and mistakes, grammar is alright. But the most significant issue here is gender as a few background players were described with both "he" and "she", making me confused at times. Besides the endlessly surprised MC, most other characters stick to their defining characteristic (s) up until the current chapter. And whenever it looks like the author is trying to bring up some kind of a personality development, it is quickly brushed aside by some sudden battle no one expected to happen. Speaking in an annoyed bias, this novel is like making your avatar in a single player game and then self-impose some hypocritical limitations which you immediately break whenever you're about to get squished by the above average difficulty setting. Over all I highly recommend this novel to fans of Virtual reality themed novels. No harem or melodramatic romance, which is a... more>> huge positive in my mind. This is very much a kingdom building novel. If you're not a fan of kingdom building type stories this will not be for you. Do go into it expecting it to be a MMO novel or cultivation novel. 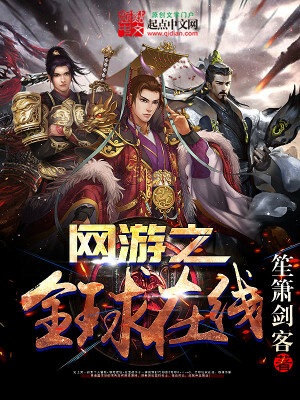 If you're a fan of stories like I am the Monarch, Tales of the Reincarnated Lord, Zhan Long, Release That Witch, or The Amber Sword then you'll probably enjoy this as well. Do no go by the listed recommendations as they are wildly inaccurate with the style of the story. TLDR - Good settlement builder, but not action-packed. MC progresses methodically with a lot of pre-planning. Generally a good read, but I can see how it is very much hit-or-miss for many people. The Realm-building-from-scratch story is pretty good. Yes, the MC does coast through most situations on cruise control with a nonchalant attitude due to having a time-travel respawn of sorts & therefore general foreknowledge of events and secrets. a tad bit early for review, but from what i've read, it's looking good, the main character seems to have calm personality that's pretty much ready to take on the world after his rebirth. what's happening inside the game itself seems promising, in how the Npc can be human (from the AI) and in return the MC does take care of his relationship (and doesn't see them as just Npc) with the supposedly npc with human like inteligence. To achieve his goal and some mystery that haven't been told to the... more>> reader about the game itself. Bing'er are cute As hell!, worth the 5 star just for her cuteness. Garbage indeed. Not just the fact that greedy international (qidian) has taken over it, putting a paywall over it. Actually, I am glad they did that so they can lock this racist heap of vomit under wraps. As said by other reviewers, it's basically easy mode wish fulfillment novel where China is number 1 and the rest should just keel over and die. The author is so blatantly racist that he regards others as monkeys for example. He literally demonized an entire country and claimed that the Chinese people in it... more>> were oppressed to justify genocide. This is why CN novels should stick to the sphere of CHINA and not anywhere else. The relationship between the MC and his sister is cute. The MC actually corrects some 'prior life' mistakes in relationships. There is a fair amount of 'wargaming' style strategy and historical fiction woven in (if you like those). So much deus ex despite the planning. So much plot armor & many forced outcomes. All other relationships are casually convenient to the plot- even people's desires/hobbies seamlessly dovetail with his plans. Tons of 'I can't bothered with basic research' nonsense- like whether people can live on a planet with 1000x the surface area of Earth (Hint: They can't), or how easy it is to make & use parachutes (not very). The nature of 'the main plot' (VR world) actually being a subplot to 'the sublot' (Government secret, etc.) is kinda neat. Unfortunately It's going to be drawn out longer than I have any interest in following. Maybe I'll come back when it's done being translated- but this isn't really good enough for me to 'week to week' follow. Altogether it really depends on what you like & how patient you are. Honestly most of the administration is pretty logical, and shows he can work without cheats (or the author forgets he played in adventure mode before) - showing how this really story didn't need the timeskip/cheats at all. Actually, almost all suspense is killed because he has advance knowledge- when without it, he'd be guessing or researching most of it instead, and we'd have more admiration for his success. Well, whatever. Not my novel. The protagonist is average, as average can be. Which isn't a good thing in Asian literature at all, as that usually requires an absurd amount of compensation. Which authors happily heap unto the protagonist. In this case, it's the entire theme of 'foreknowledge'. Which is all great since he can plan for milestone events to spectacularly advance his own standings. So the problem? There's no loss, no suspense, there's no emotions, or anything. The characters are under three predominant modes; A. Little Sister B. Humble Commoner C. Arrogant All Others. And that's about all, there's no other deviance at all. Reading this story for anyone should truly only be last, most desperate of fallback. Read this if you want a story, that is so bland that even repetitive xianxia looks stunning. What makes the blandness even worse is that there's no creativity at all, it's Just a basic city-model creation. Same system. Same culture. Same everything. The only difference? Under the game system... the protagonist's astounding amount of idiocy doesn't matter. He in fact won't be poisoned by his little sisters, or stabbed in the back by random heroes. Yes, yes... the wonderful perk of the loyalty stat¬! And, seriously, after crushing bandits, the protagonist recovers 38 or so women, and children... the author would like us to believe that the women were treated harshly, like slaves, but nothing untoward was done to them. Right. Right. This is legit the only novel that ever deserves a Kingdom Building tag. Other novels only touch upon the subject while this story builds a complete system from nothing. If you like other story's kingdom building, then this may not be for you since it isn't stupid. No matter how much the author says the game is fair and balanced, as a typical Chinese feel-good novel, it obviously isn't. The story starts off very interesting with the setting and historical character introductions, and I really enjoyed the initial country building and interactions between different dynasties. Looking back, it is random novel. It use genres: Sci-fi, Fantasy and Martial Arts which create crazy chaotic mix but neither of them. 1. 80% of novel was like auto-generated history: Villager A is promoted from "Junior Miner" to "Miner". Villager B digged 5% more than Villager A therefore is promoted from "Junior Miner" to "Supervisor of Miner". And this is whole ruling/s done by protagonist. It reach the point that by ch300 all starting (male) NPC are ministers or high officials, basically "elite" of country. 2. ~ch300, third grand battle in china. Everything is surprising MC, which it shouldn't. He have perfect memory for battle 1 and 2 with all story, rewards for side missions, etc - problem lie that at this time he didn't knew about "game". Only from 3+ he in "first life" started, yet he know nothing. 3. Imagine world: everybody on boat is using peddles and our MC motor. You would think that he will be very much ahead, but no. They with peddles are enough to contest with him, because motor he stolen. To be fair whole boat was stolen.